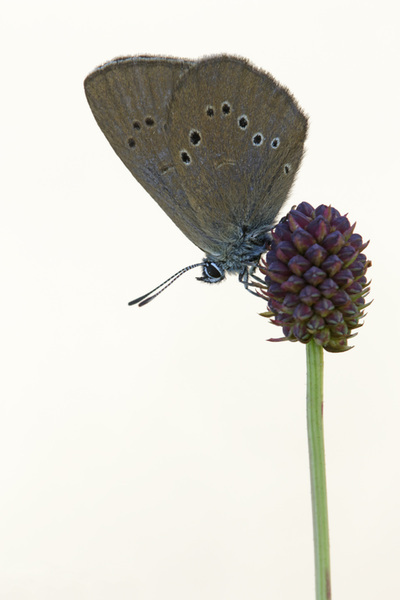 The male upperside is a deep violet-blue with broad dark-brown borders; the female is dark brown with with at most a faint blue flush near the base. 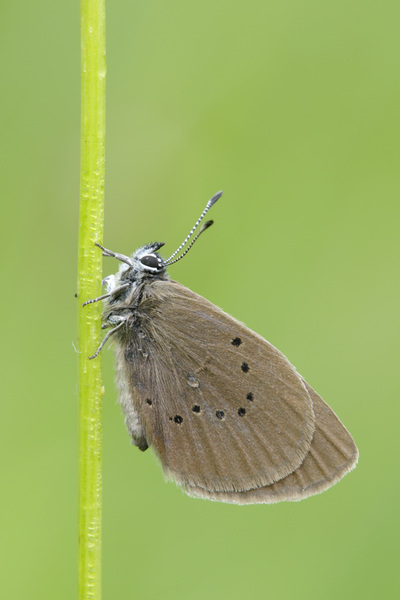 Both sexes have brown fringes but the uppersides are very rarely seen at rest. 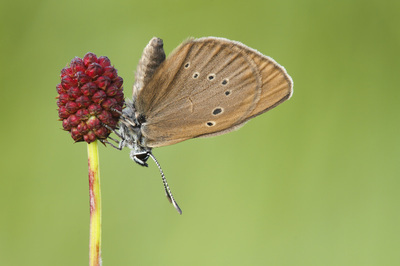 The undersides are chocolate-brown with white ringed black spots in a strongly curved arc on each wing. Flight from July to August in one breed. 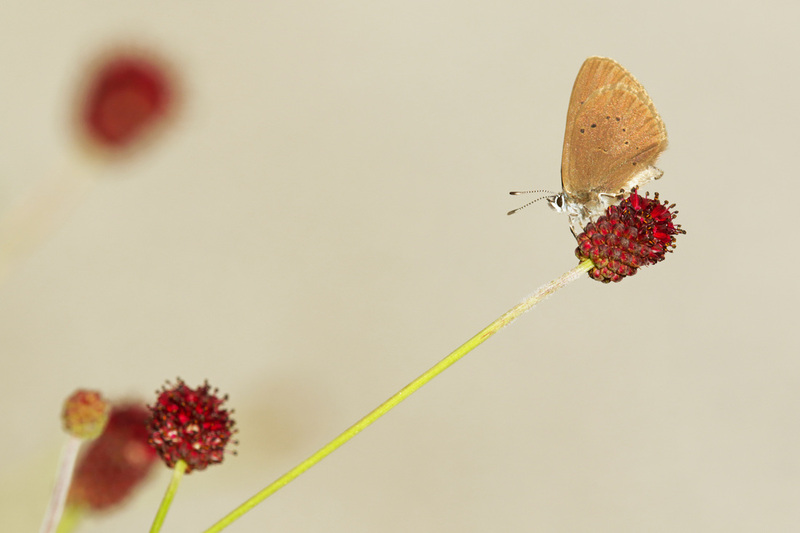 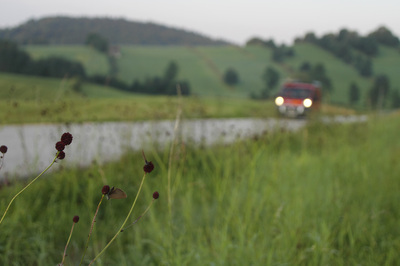 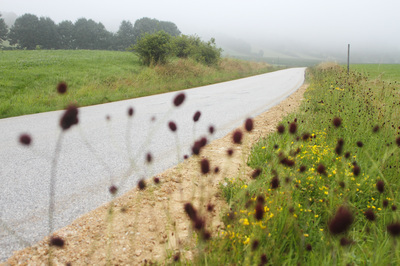 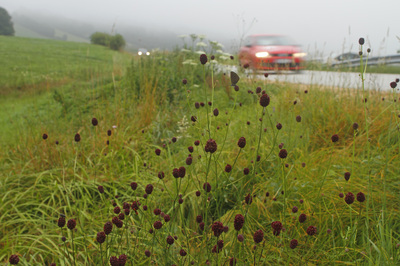 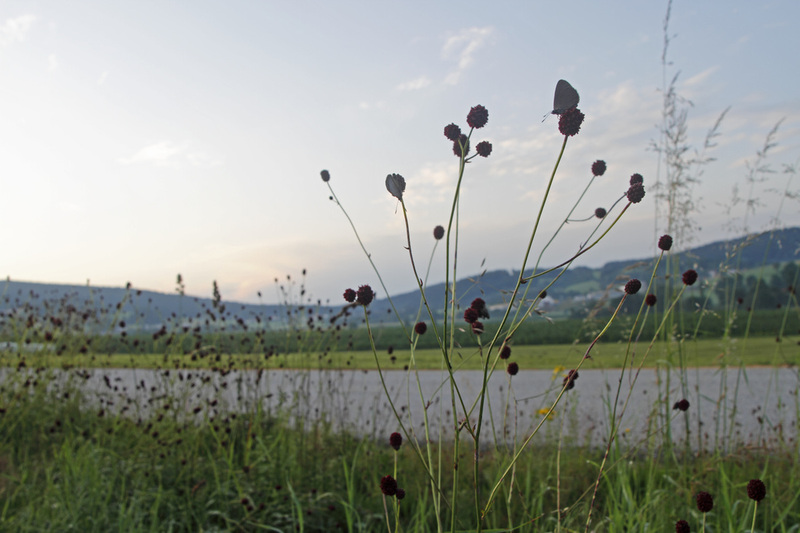 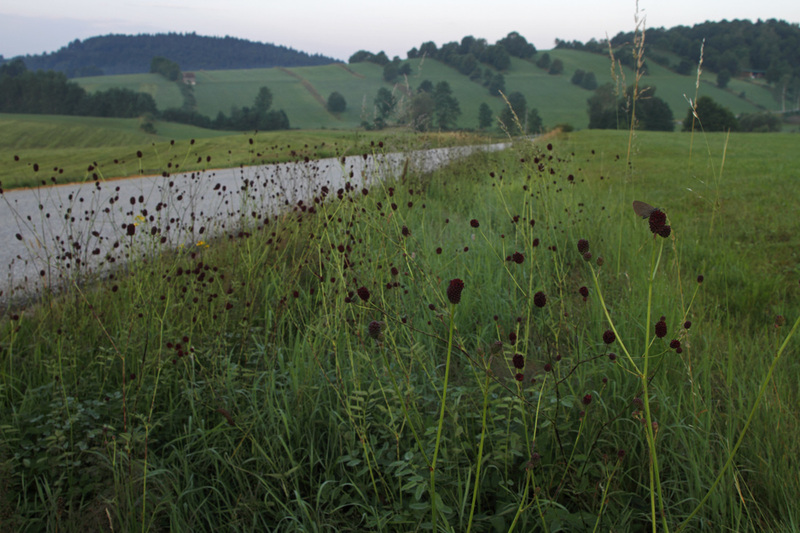 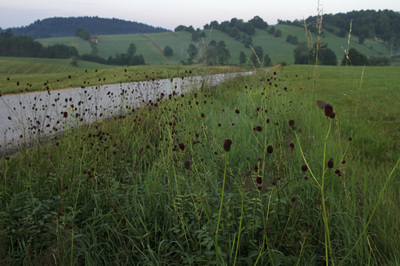 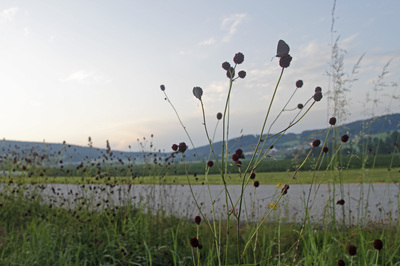 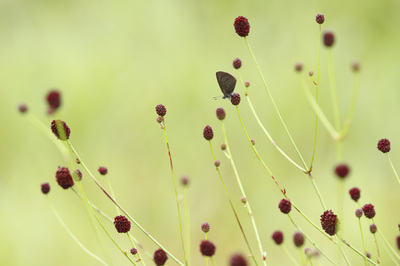 The caterpillars feed on Great Burnet during the first three instars but are then taken in to the ants nests. 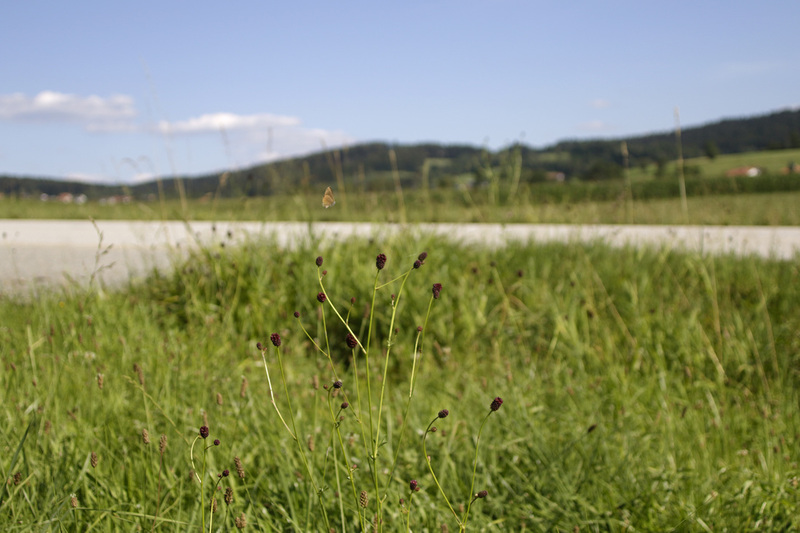 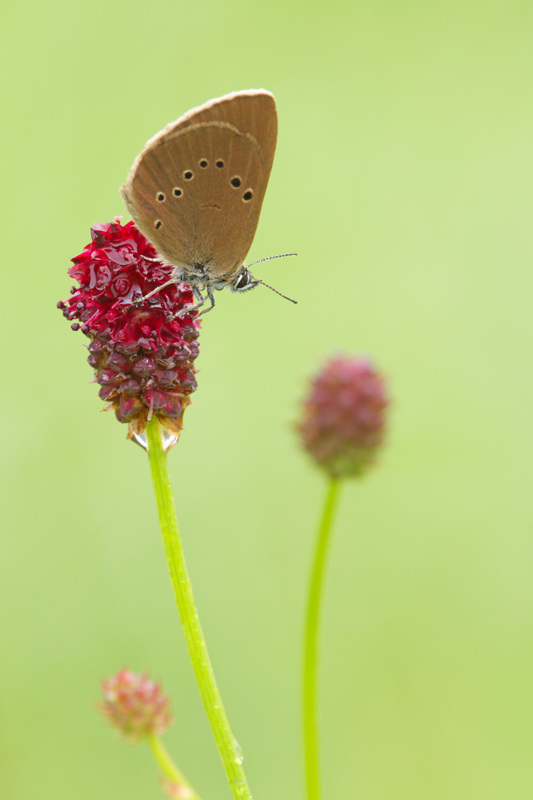 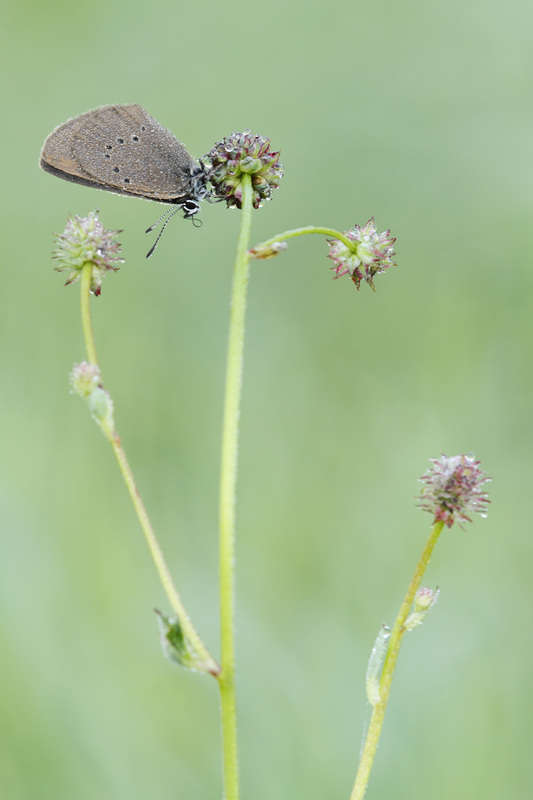 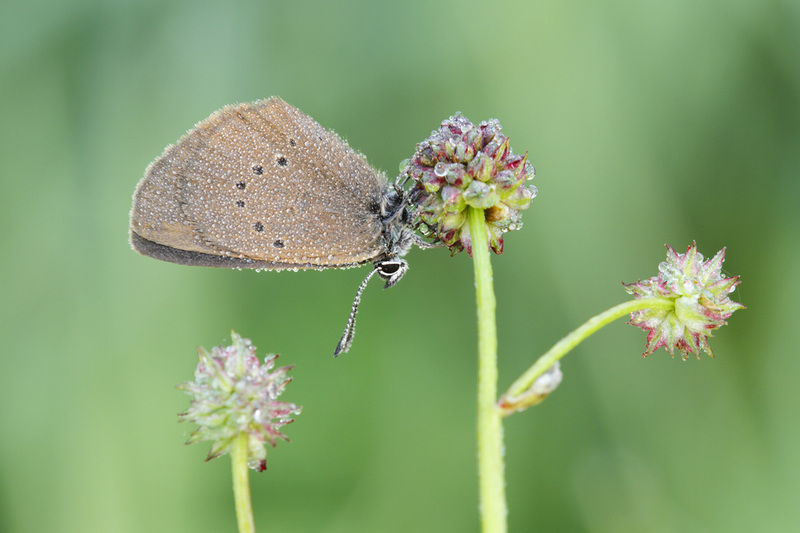 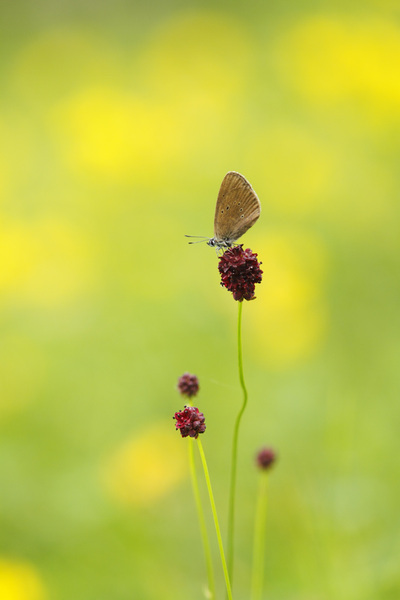 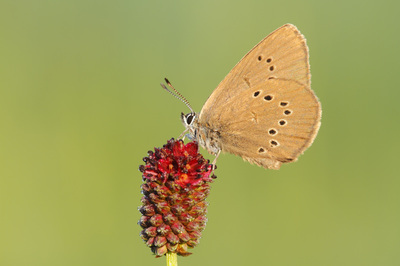 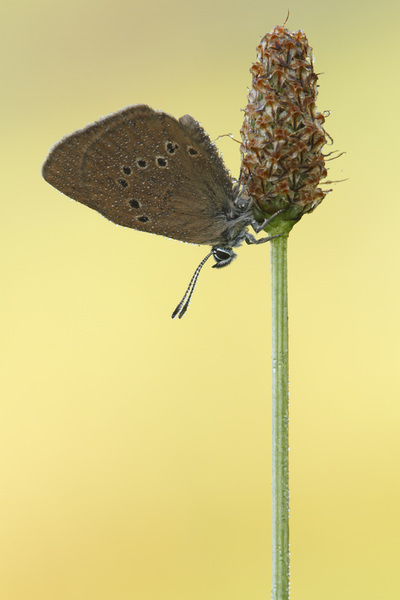 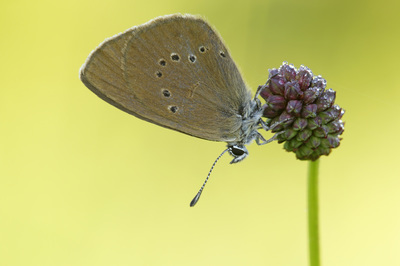 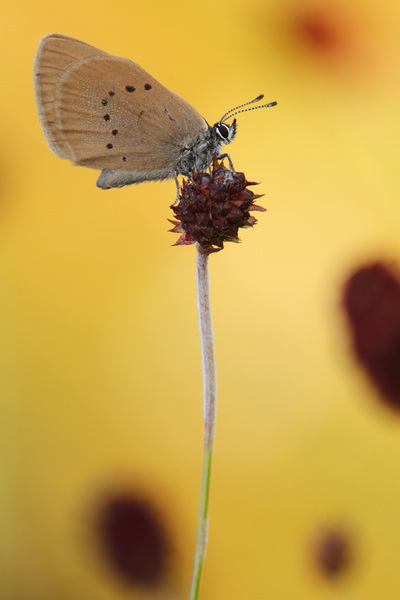 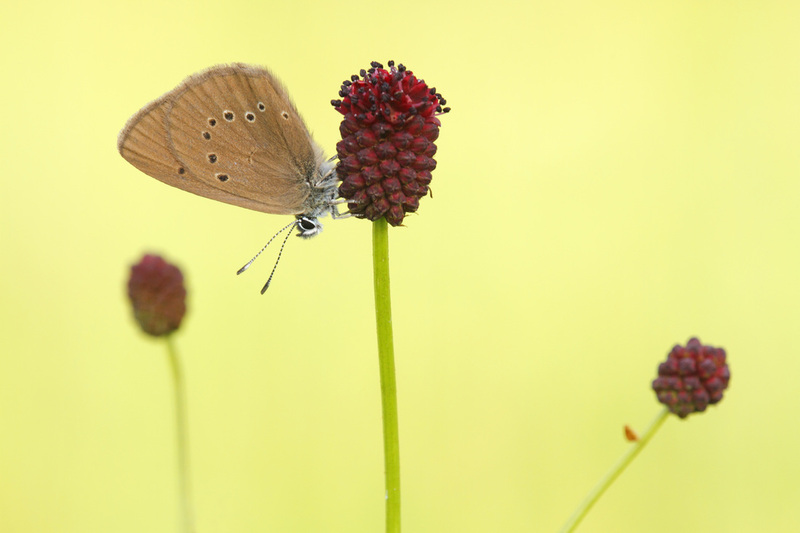 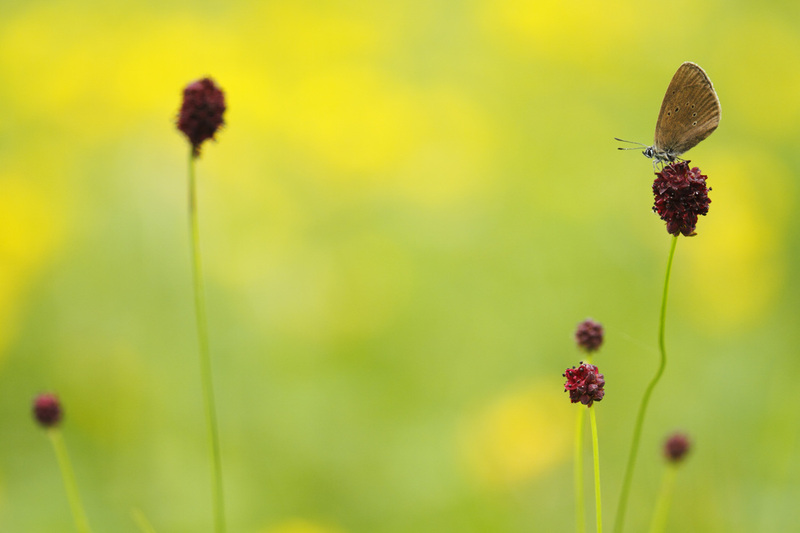 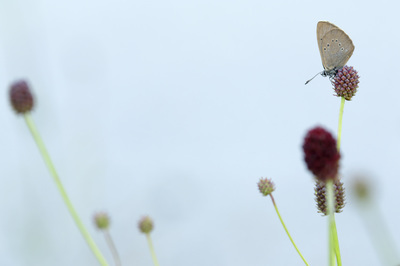 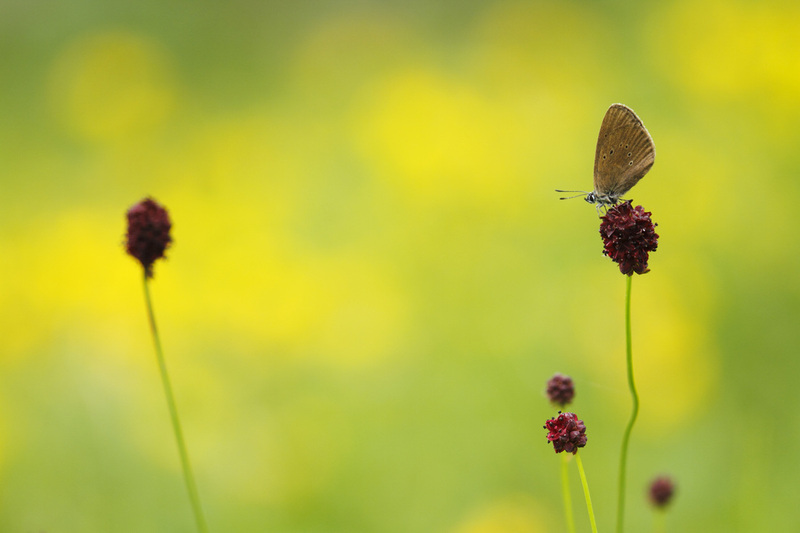 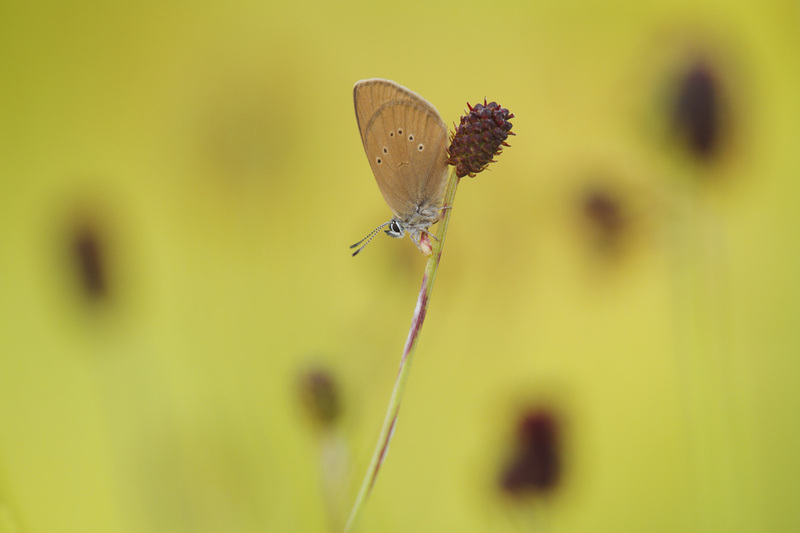 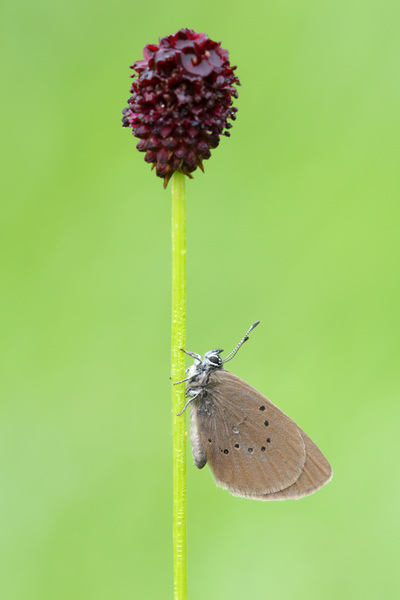 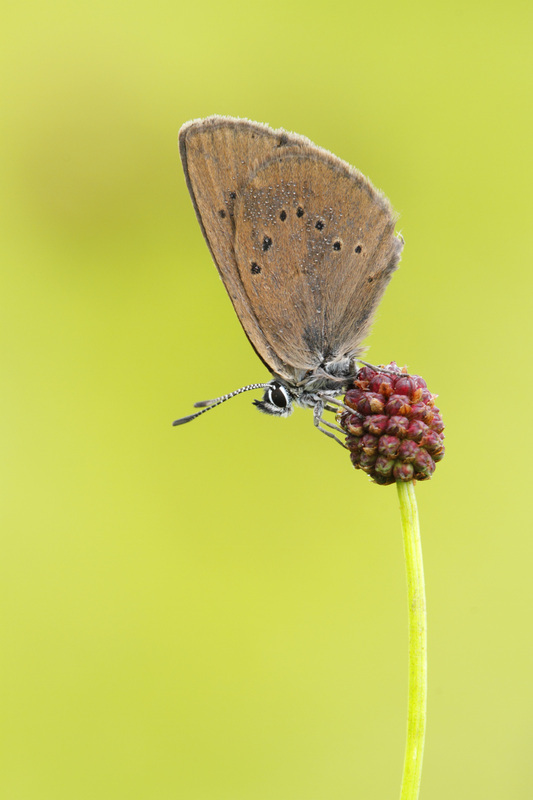 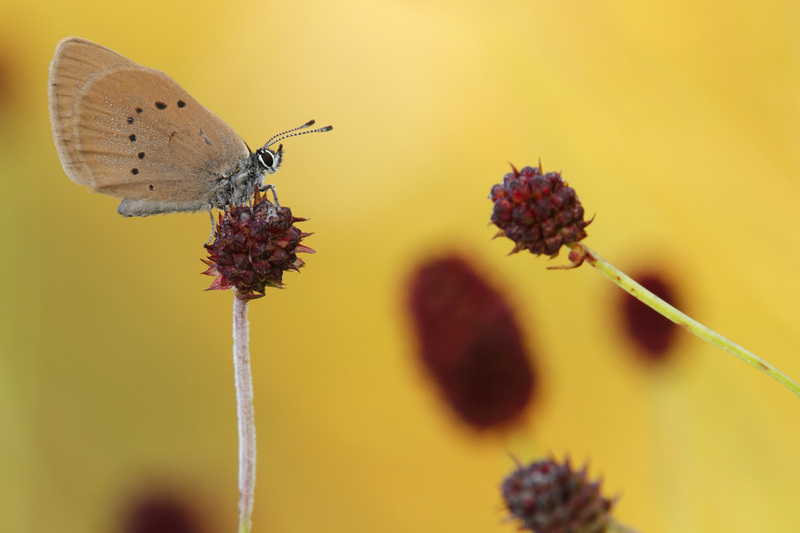 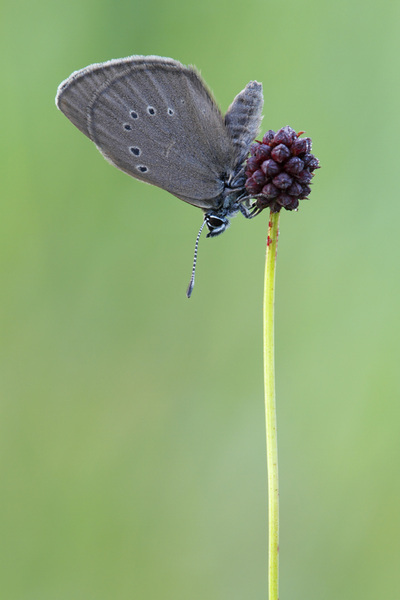 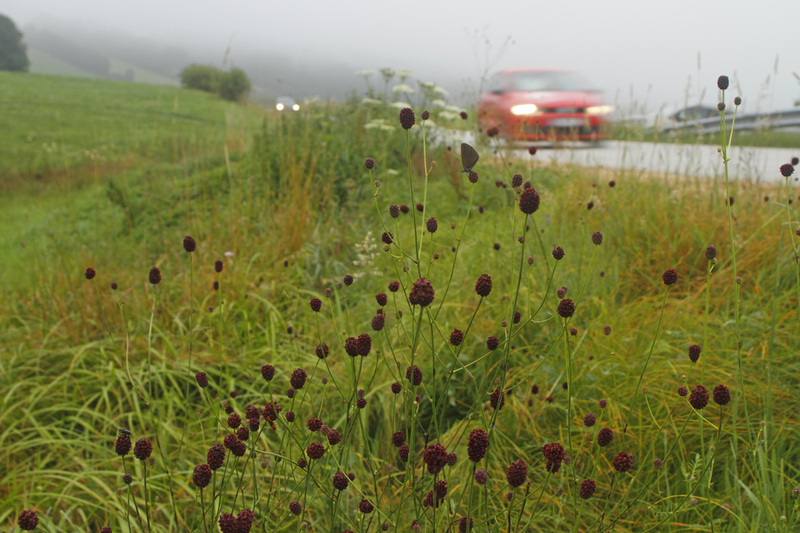 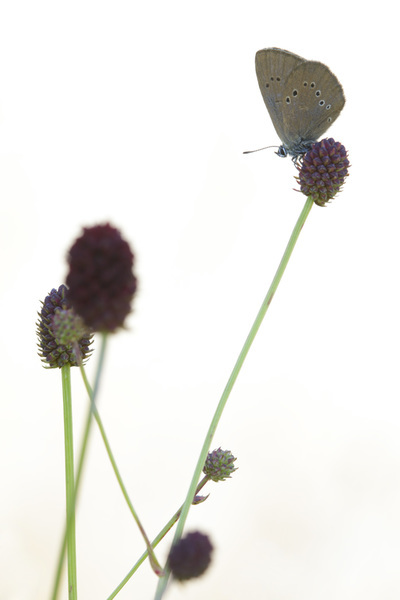 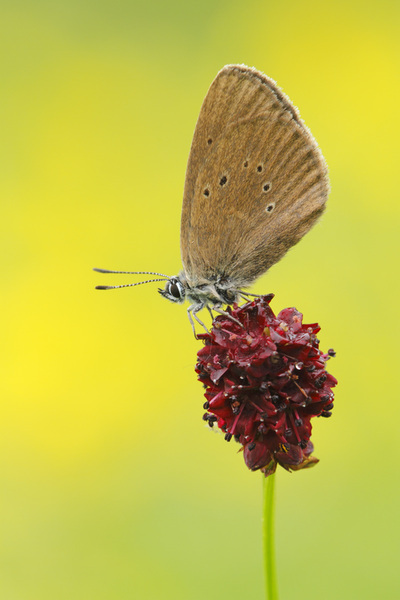 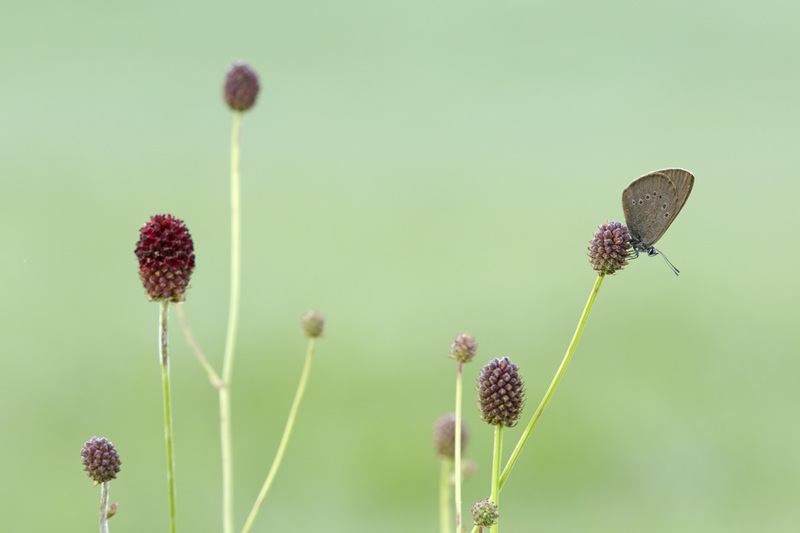 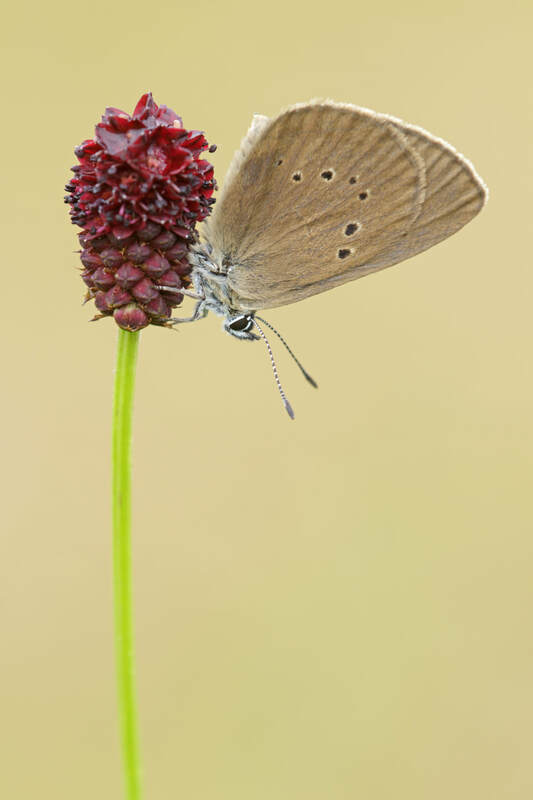 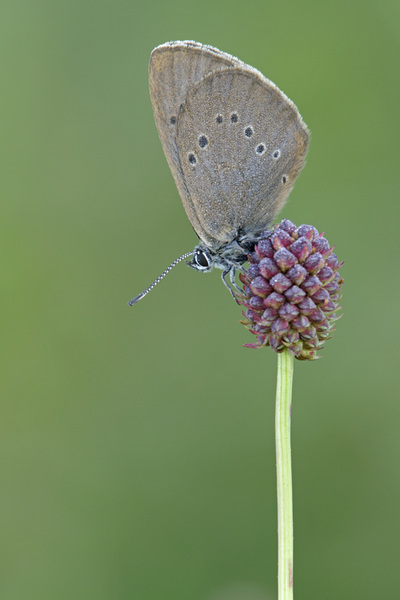 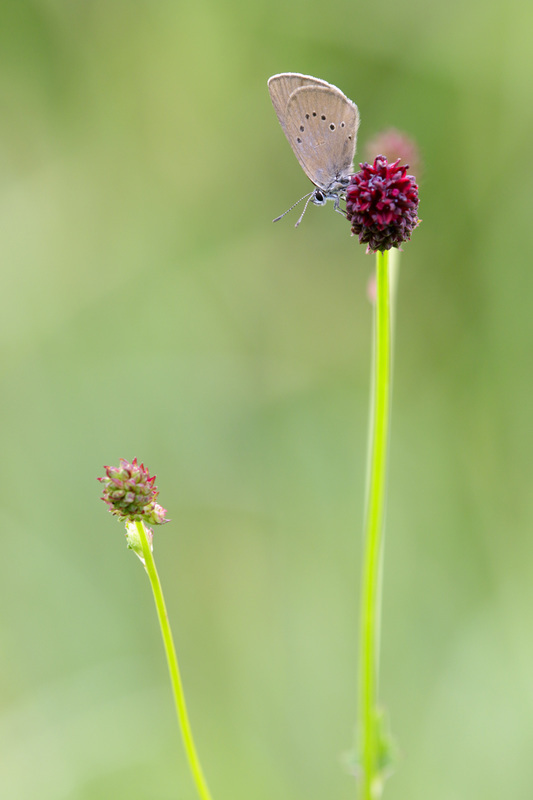 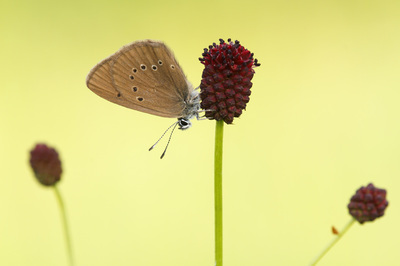 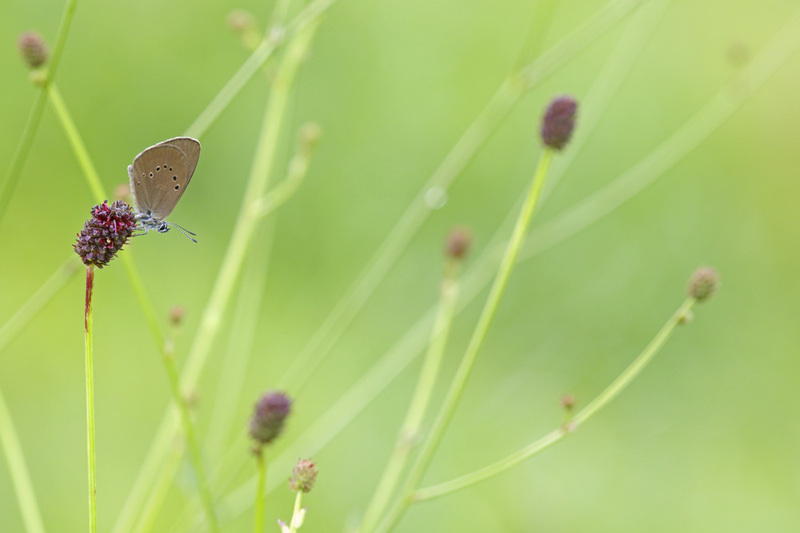 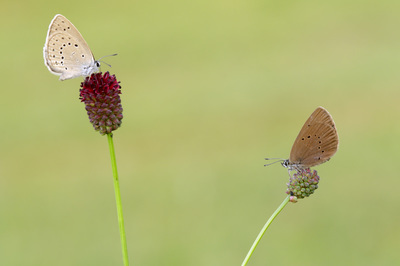 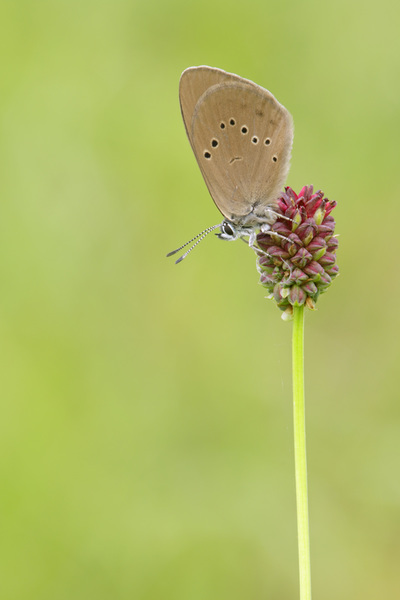 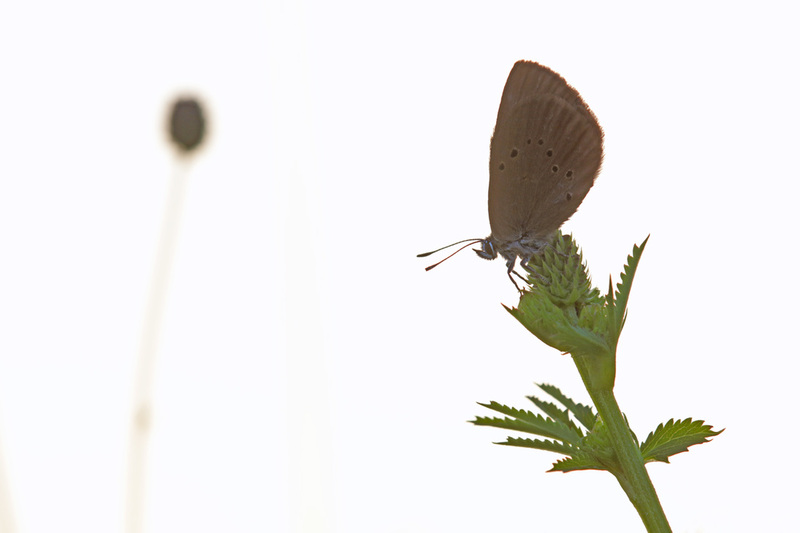 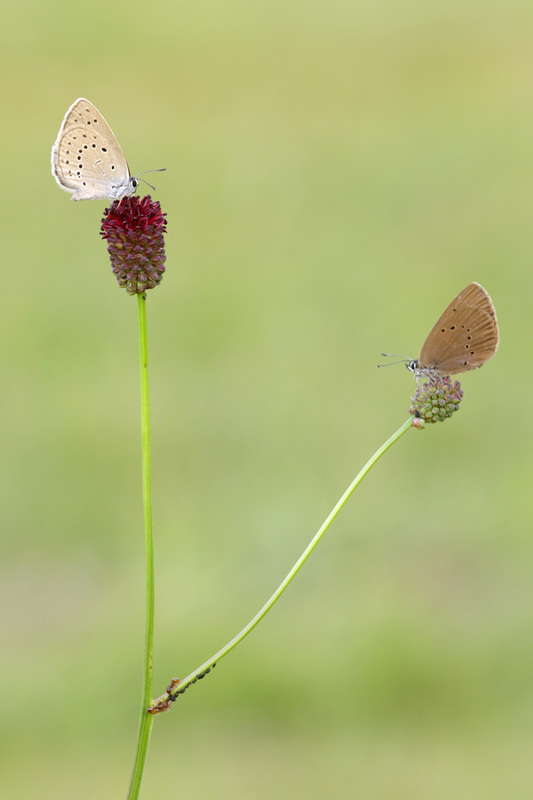 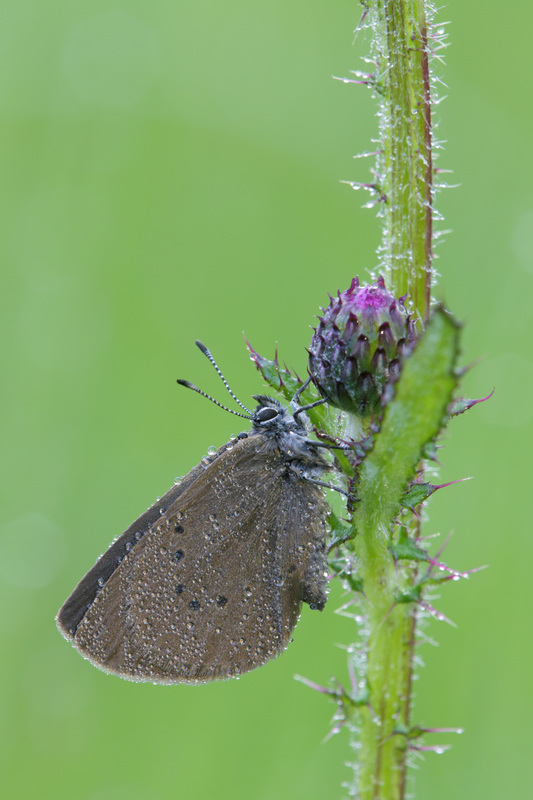 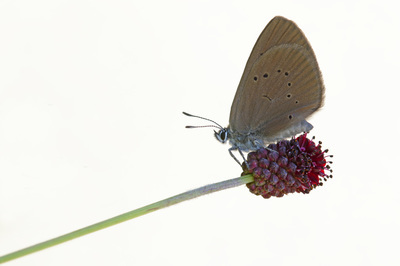 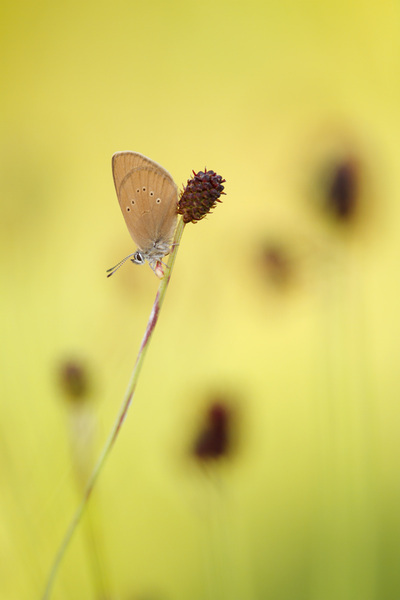 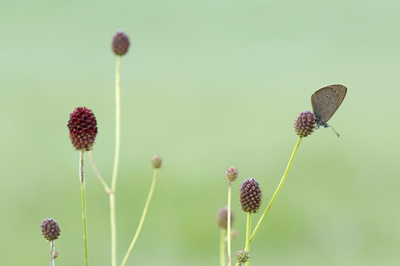 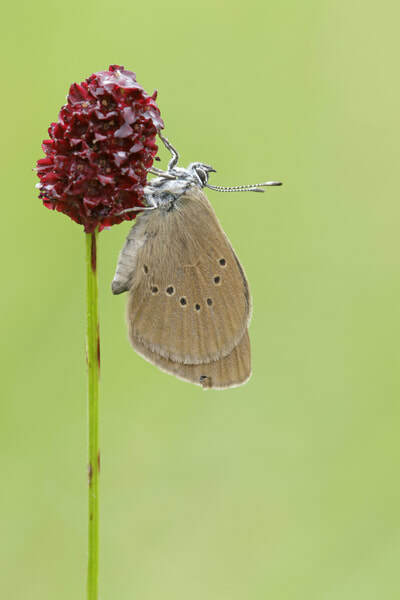 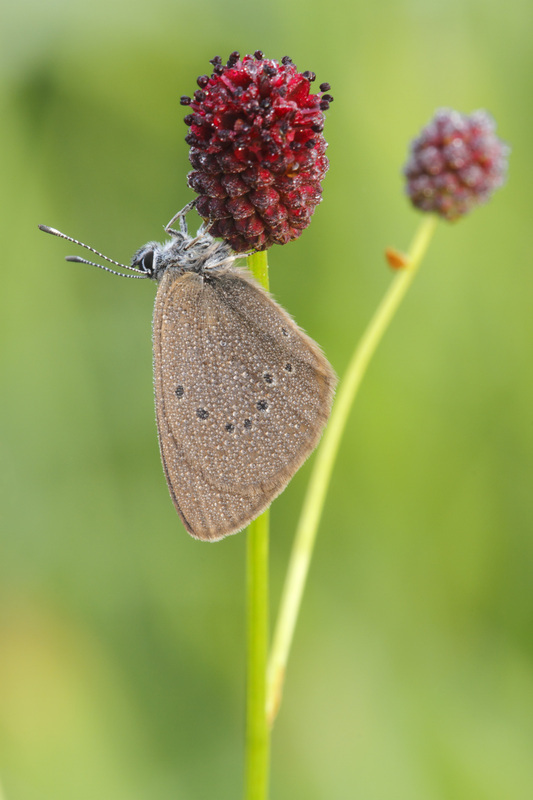 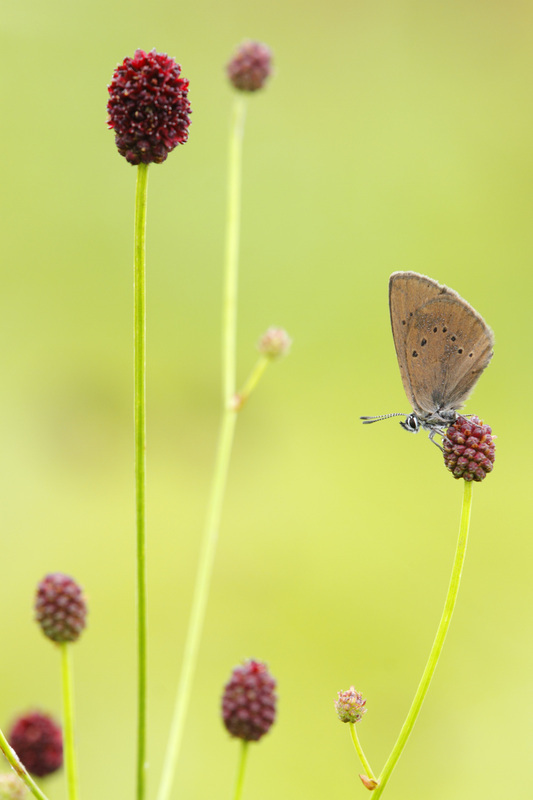 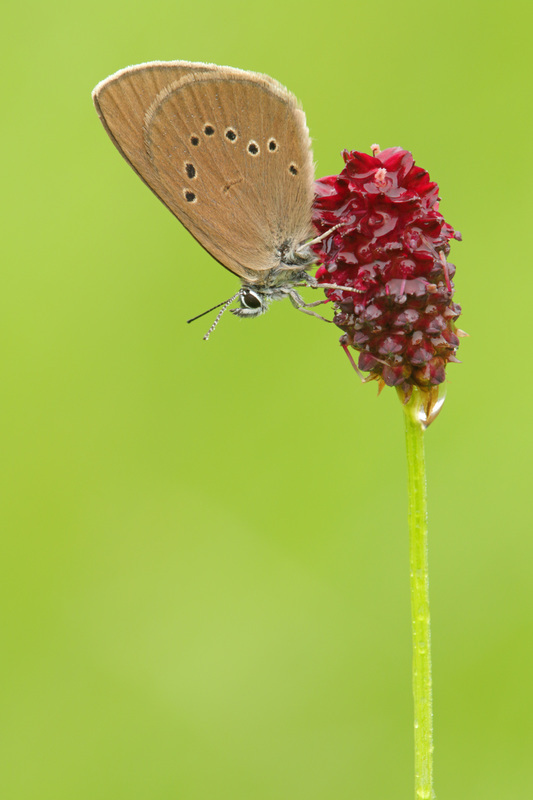 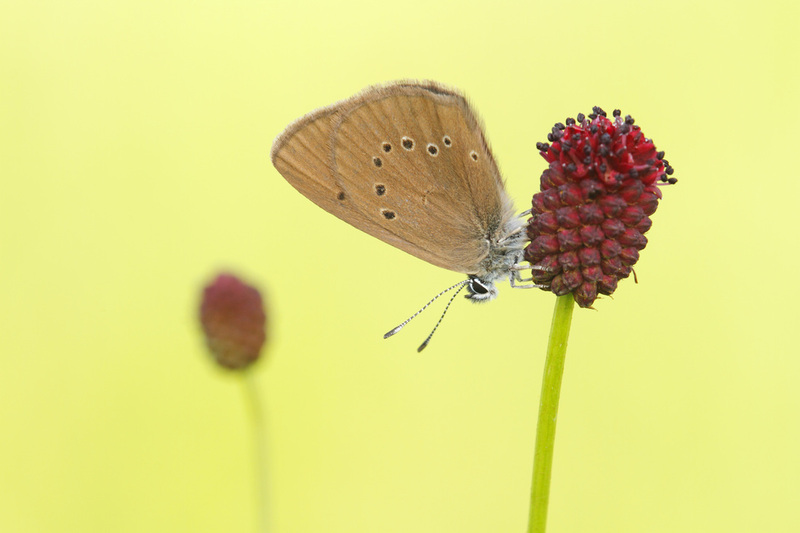 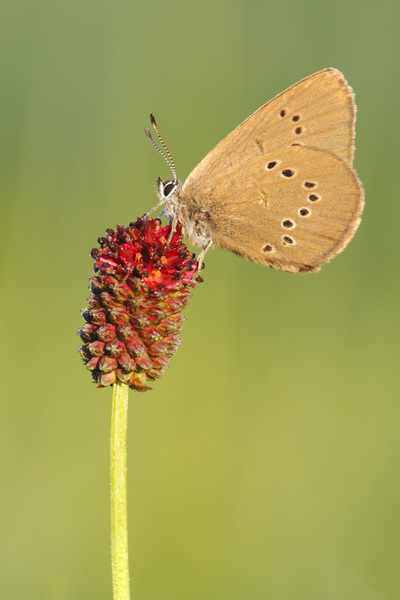 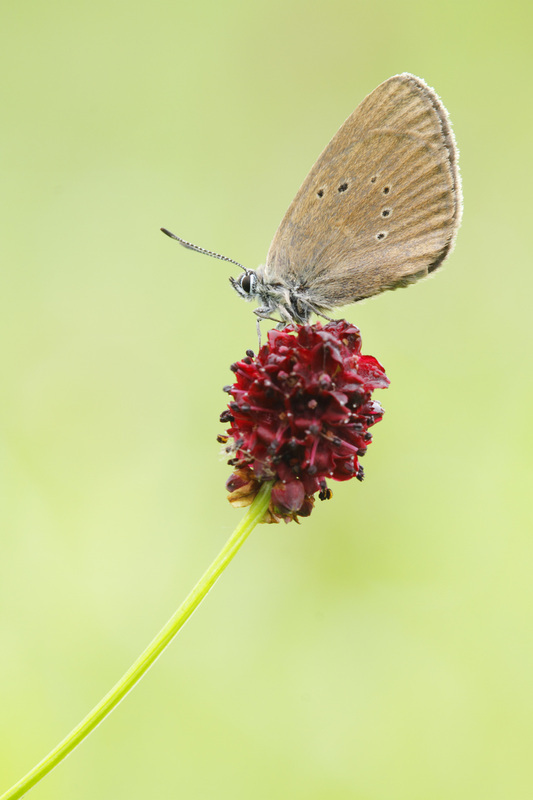 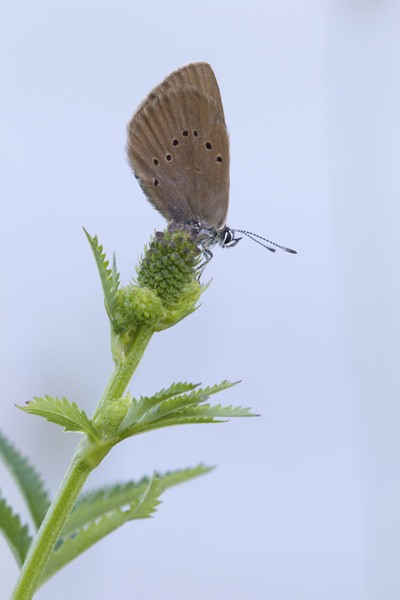 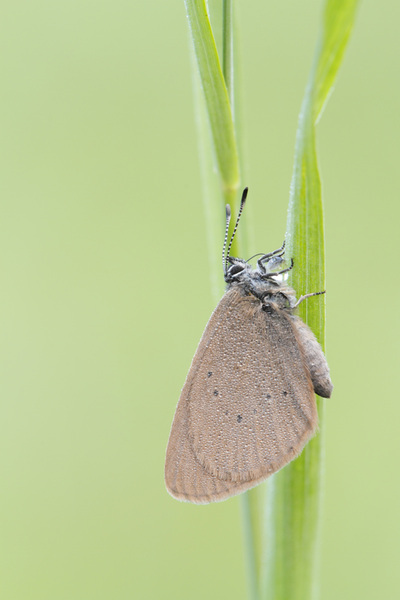 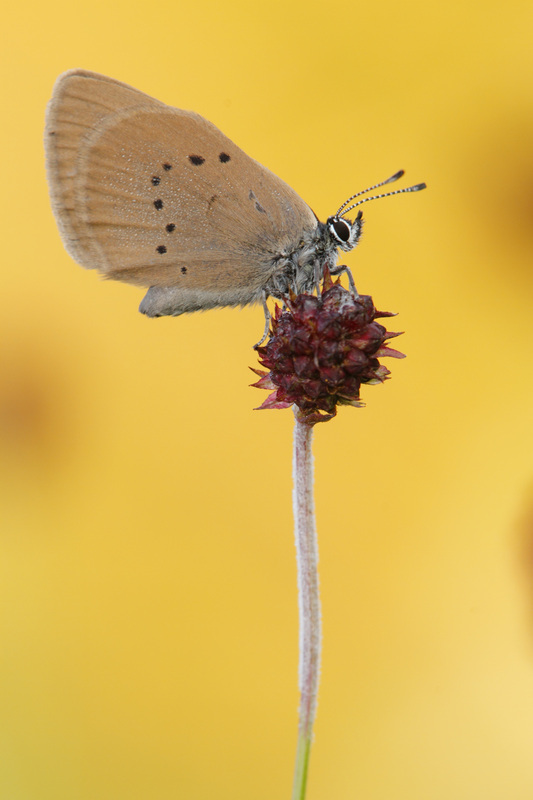 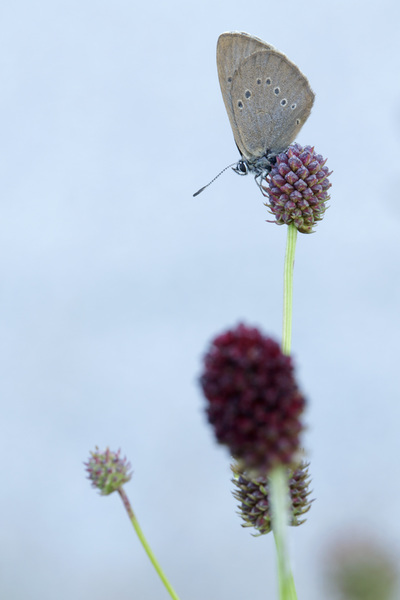 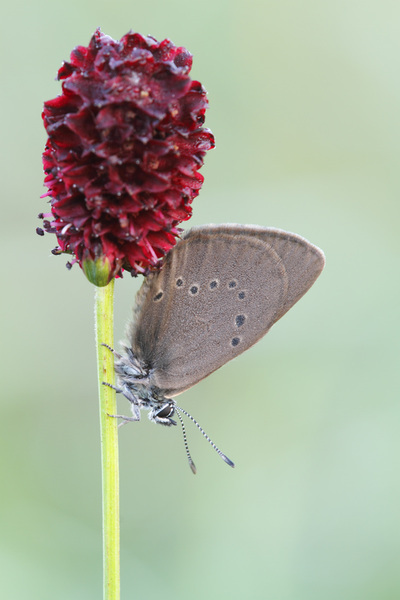 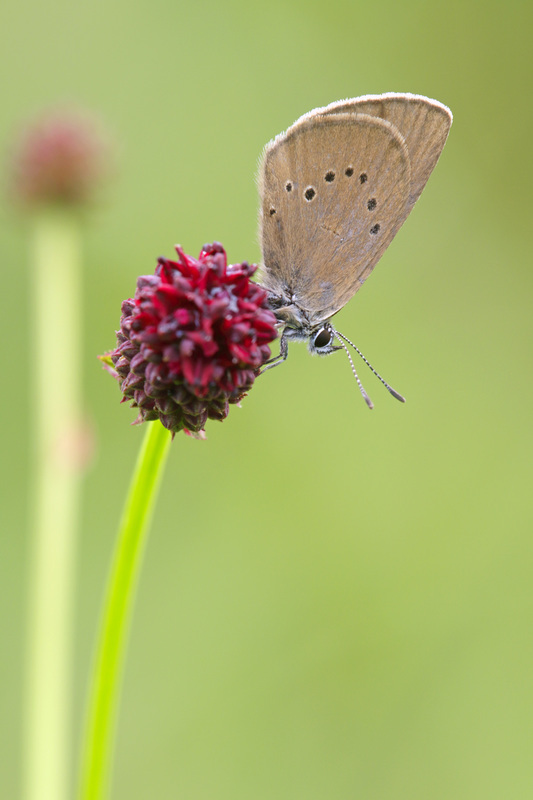 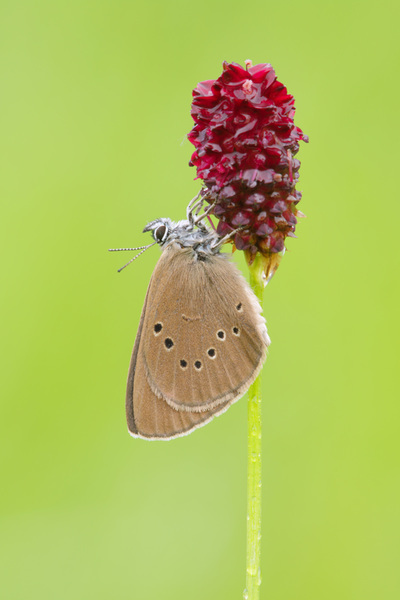 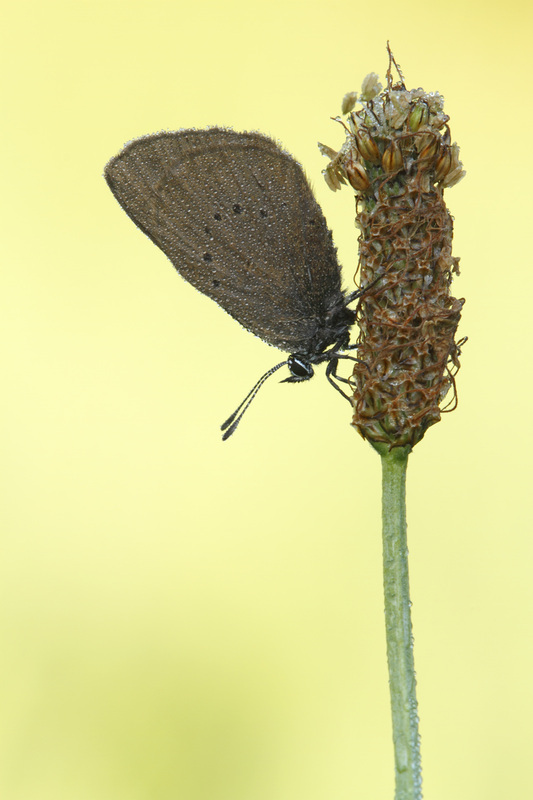 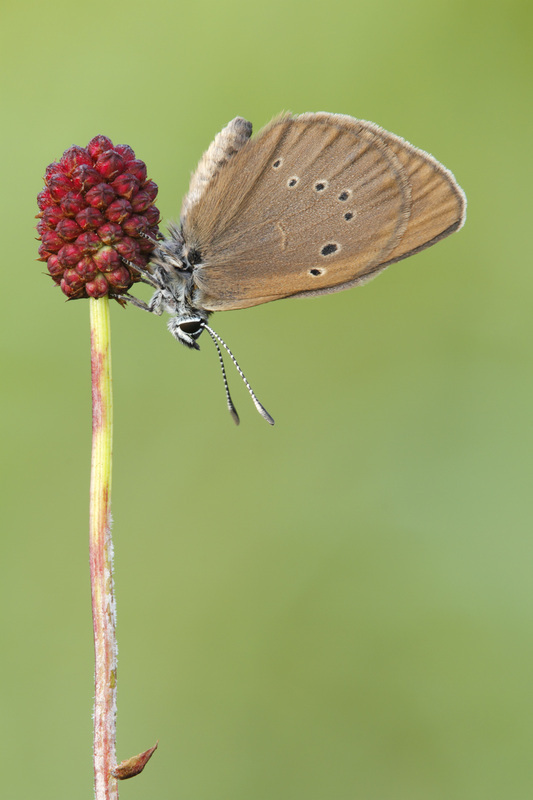 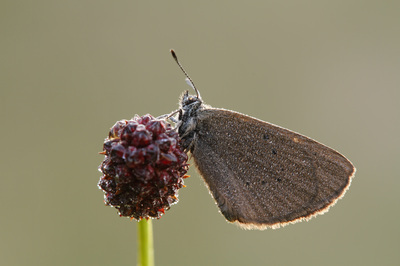 The Dusky Large Blue is an endangered species in Europe and has strong requirements: damp grass/moorland with Great Burnet and special ants.